Rent The Chicken: Rent The Chicken Home Party! Rent The Chicken Home Party! Earn a free rental by hosting a party! It's easy! Imagine a Tupperware Party not with bowls and lids but with chickens! Rent The Chicken supplies eggs, recipes, games, trivia, and fun! For every friend or family member who reserves their Rent The Chicken rental during your party or within a week of your party, you receive a $50 credit towards your rental! For every friend or family member who reserves their Hatch The Chicken rental (if applicable) during your party or within a week of your party, you receive a $25 credit towards your rental! For every friend or family member who schedules their own Rent The Chicken Home Party, you receive a Rent The Chicken t-shirt! 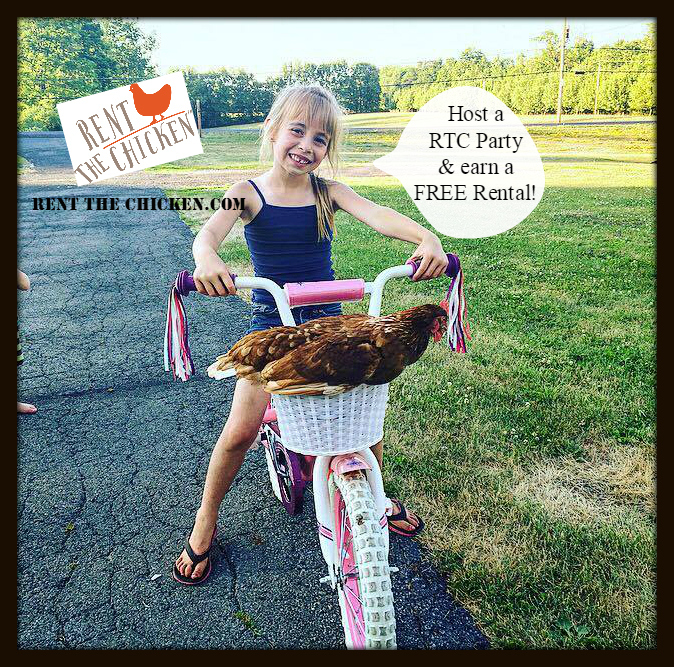 Call us today at 724-305-0782 (USA) or Toll-Free 844-310-8782 (Canada) to host a Rent The Chicken Home Party to earn a free rental!